Despite not being able to see who was who and which team was which due to the jersey colors, I got to watch the Seattle Sounders play for the first time in what feels like forever – actually just 23 days (being an east coast Sounders fan is not easy). I watched the first 30 minutes on the computer, then turned El Clasico off (Vamos Barca!! *sorry*) and put the Sounders on the TV. Around the 40th minute, it became easier to determine who was who due to the sweat on the Sounders jerseys. In the past, LA Galaxy has not been a pleasant place for the Sounders to visit. Sunday, this was a different story. Like the last time they visited LA, when they won 2-4 on a Jordan Morris brace, they turned around history and pulled out not just a result, a win. The Sounders left LA with 3 goals and more important, 3 points. 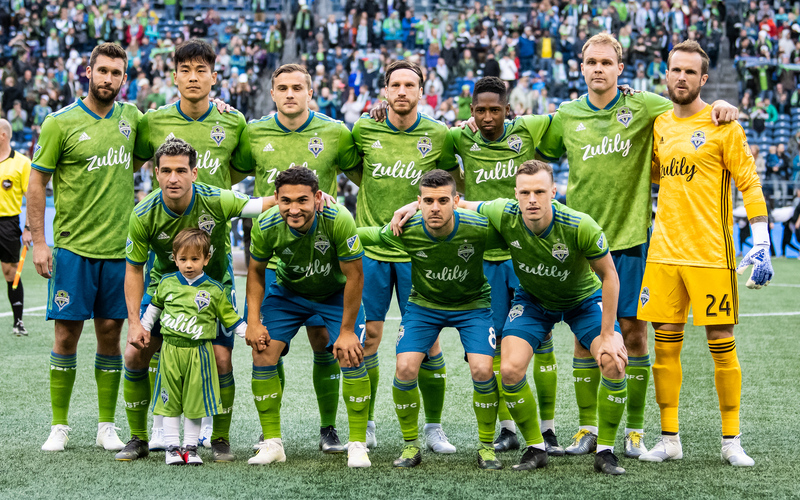 The Sounders started the game with a different starting Xl than normal, their back line didn’t feature Roman Torres and Chad Marshall, rather it featured Tony Alfaro and Jordy Delem. Instead of Jordan Morris playing up top, Will Bruin got the start and Morris played on the left wing along with Nicolas Lodeiro and Clint Dempsey. This lineup seemed to work pretty well. Clint Dempsey scored the first goal in the 29th minute on a header. This was his 3rd goal of the season for Deuce. 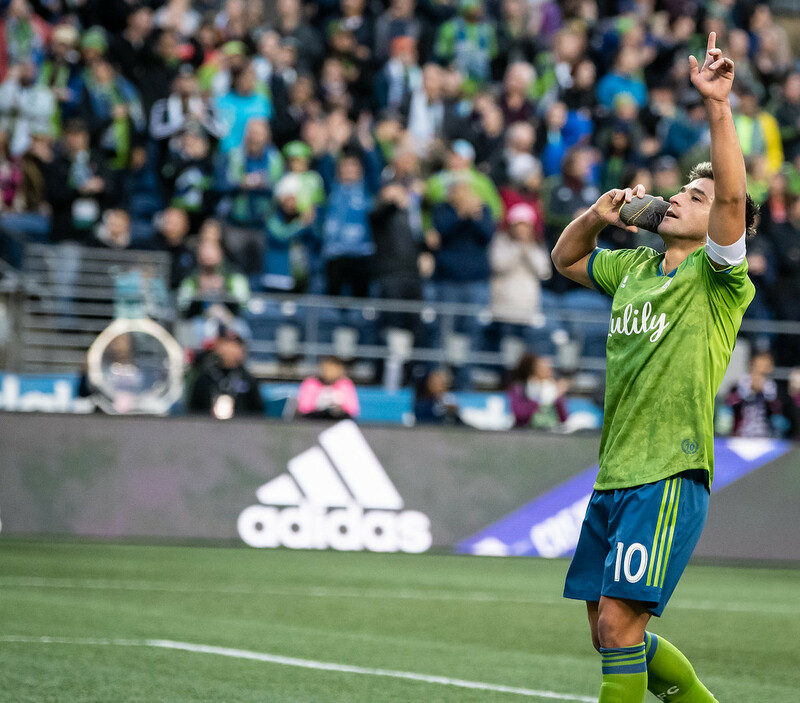 His goal came after a cross by Lodeiro. The Sounders 2nd goal came on an own goal by Ashley Cole in the 35th minute, also off a cross by Joevin Jones. The ball deflected off Cole’s foot and past Brian Rowe, goalie for LA Galaxy. 9 minutes later, Jordan Morris added the 3rd goal. The Sounders and the Galaxy played a physical game, forward Will Bruin even noting after the game that if he took off his shirt you’d be able to see scratches. 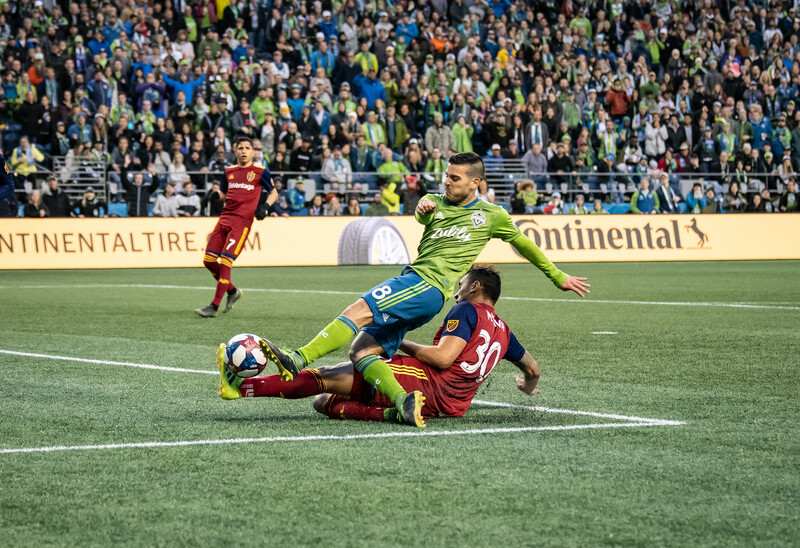 This was the Sounders first win on the road and put them above the red line and at a record of 2-2-3. Overall, the Sounders had an 86% passing accuracy and the back line of Jones, Alfaro, Gustav Svensson, and Jordy Delem with Stefan Frei in goal have gone 180 minutes without conceding. Clint Dempsey and Nicolas Lodeiro were both named to MLS Team of the Week with Joevin Jones and Jordan Morris being named to the bench.